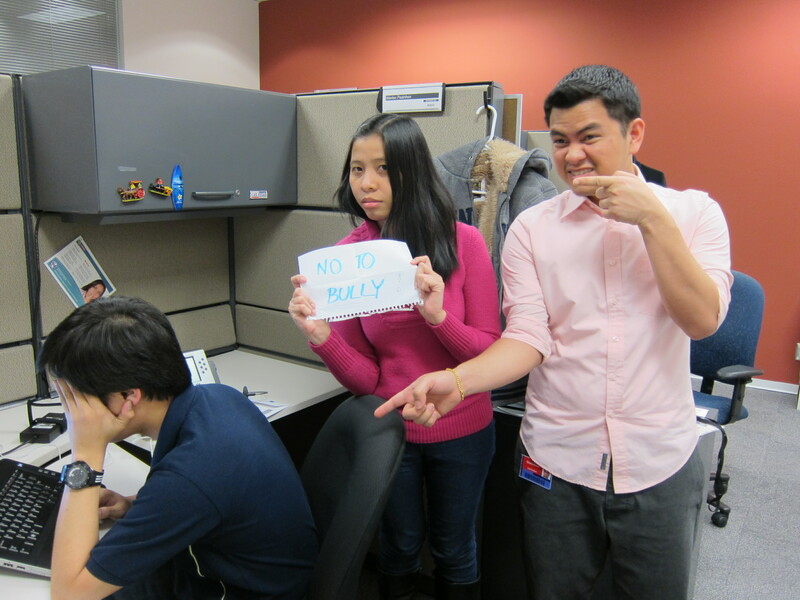 A communication was sent out in the office yesterday to wear pink today to promote the “Anti-Bully” campaign. 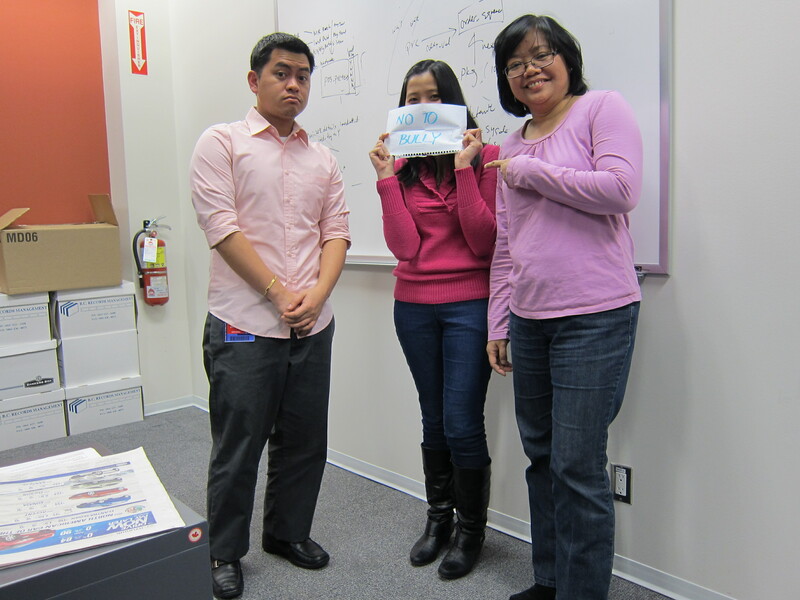 And to express our support, some of us wore pink. I’v never experienced bullied in school but I witnessed a lot especially in my grade school years. And, it was never a good thing. Hope this campaign will really bring a lot of awareness on the effects of bullying especially to the young generation.